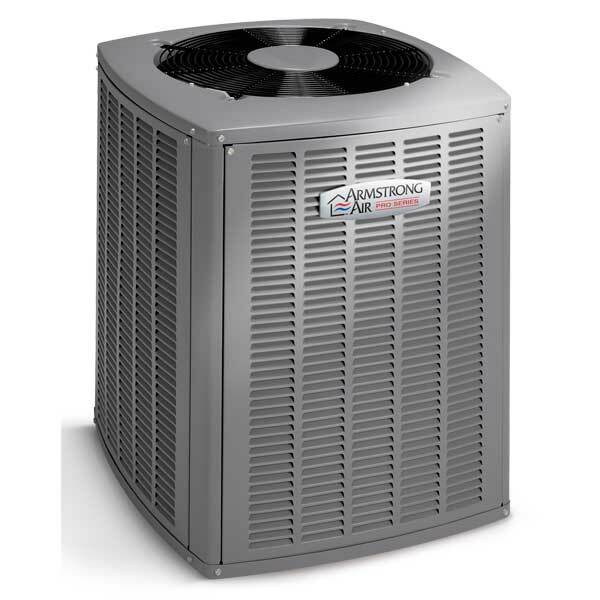 A new heat pump is an investment&apos; so you want to be sure it will provide dependable service for many years to come. By choosing the Armstrong Air 4SHP16LS heat pump&apos; you can take comfort knowing its been engineered and tested to meet the highest standards for performance and craftsmanship. And with advanced features and technology&apos; the 4SHP16LS can provide energy-efficient cooling and heating in any season. Pair this model with a Pro Series™ variable speed furnace and a Comfort Sync thermostat&apos; for optimum performance. With the Pro Series&apos; you’re in control of every aspect of your home’s climate&apos; as well as your energy costs. Comfort Sync Thermostat When you pair this model with the Comfort Sync thermostat&apos; the system will continuously monitor internal components for optimum performance. When Comfort Sync detects that repairs and regular maintenance are needed&apos; it alerts you or your dealer instantly via email. Up to 16 SEER SEER (Seasonal Energy Efficiency Ratio) rates the energy efficiency of your cooling equipment. The higher the SEER rating&apos; the more efficiently your unit operates&apos; saving you money on utility bills. Up to 8.5 HSPFHSPF (Heating Seasonal Performance Factor) rates the energy efficiency of your heat pump. The higher the HSPF rating&apos; the more efficiently your unit operates&apos; saving you money on utility bills. Quiet Shift Technology Allows heat pumps to enter defrost mode without excessive noise. Since refrigerant pressure is allowed to equalize before the switch&apos; the heat pump can dissipate performance robbing frost and ice quietly. MHT Technology Armstrong Air’s proprietary heat transfer system. A specially designed fan shroud pulls air evenly throughout the air conditioner’s coil surface. The coil features rifled tubing to enhance refrigerant flow&apos; while lanced coil fins increase surface contact between metal and air. All combine for maximum heat transfer and efficiency.